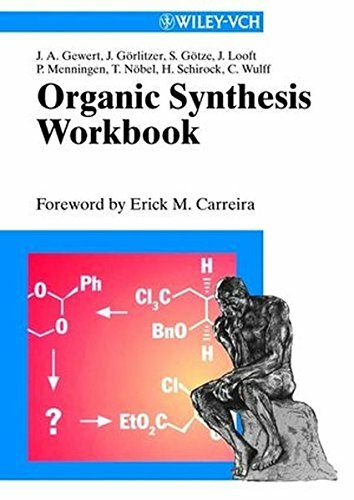 The Organic Synthesis Workbook promises to be to the current generation of graduate students, and even "students-for-life", what Ireland's and Alonso's books were to those of us who were graduate students in the 80's [Alsono: The Art of Problem Solving in Organic Chemistry, Ireland: Organic Synthesis]. The authors have wonderfully captured the thrill, the enjoyment, and the intellectual rigor that is so characteristic of modern synthetic organic chemistry." If you have any questions about this product by Wiley-VCH, contact us by completing and submitting the form below. If you are looking for a specif part number, please include it with your message.